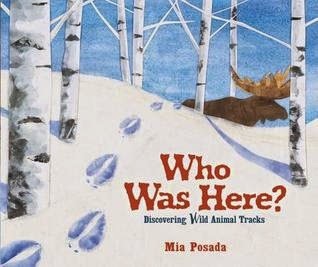 Young readers will enjoy learning about animals tracks in this engaging science picture books. The writing style alternates between descriptive poems and expository paragraphs as readers try to guess the animals based on the tracks and the clues in the text. dragging its flat, paddle-shaped tail. piling sticks to build a dam in the stream." Upon turning the page, readers see an illustration of the animal in its habitat along with information about the animal. "Beavers have five toes. Their hind feet are webbed to help them swim." The soft, earth tones and textures in the water color and mixed media collage illustrations make this a book readers will want to revisit, and the tracks are illustrated in actual size. The book contains tracks from animals that live in different habitats including black bears, kangaroos, and hippos. Back matter includes tips for looking for animal tracks and a list of related books and websites. Pair Who Was Here? 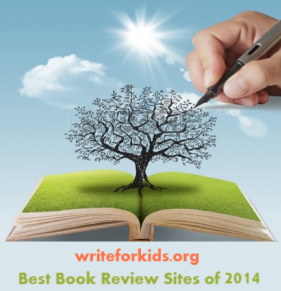 with Butterfly Eyes and Other Secrets of the Meadow by Joyce Sidman or What in the Wild? by David M. Schwartz.